Step into a world of luxury with radiant heating for your carpet (U.S. only), laminate, engineered wood, and floating wood flooring. 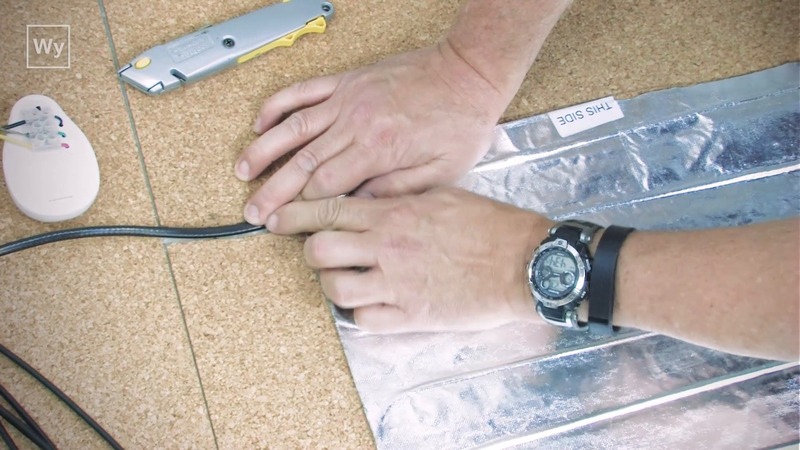 Each WarmlyYours 120 VAC 1′6″ x 25′ Environ™ Flex Roll consists of a fluoropolymer-insulated heating cable between two layers of reinforced, durable aluminum foil. 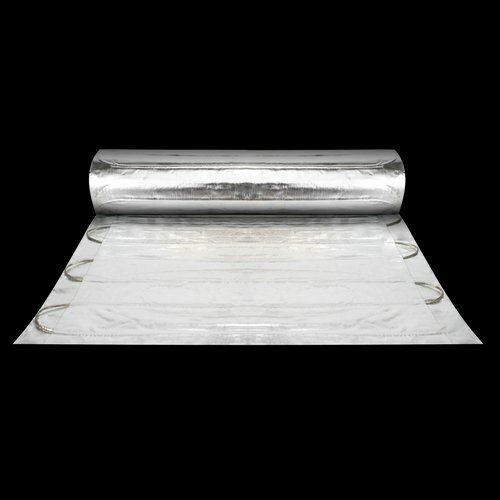 These cut-and-turn rolls provide in field flexibility, and, because no adhesive is needed, installation is simple. The heating cable is uniformly spaced throughout the Environ™ Flex Roll to evenly heat the entire floor at 12 watts per square foot. What wood laminates are compatible with Environ™ Heating System? Verify that your laminate is warranted for use with radiant heat. Most modern wood laminate floors are compatible with Environ™ Flex Rolls, but the maximum thickness of the timber / laminate / wooden flooring should not exceed 5/8” (15mm). Flooring that has metallic strips as part of its locking system is NOT compatible, as these metallic strips may damage the Environ™ Flex Rolls. Also laminates that have their pad already attached to the laminate are not compatible with the Environ™ Flex Rolls. What underlayments are compatible with Environ Heating System? Any type of underlayment/padding may be used as long as it has a density of 6-8 pounds per cubic foot. Certain underlayment, such as ¼” (6mm) thick cork, or 5mm CeraZorb are recommended for Environ™ Flex Rolls. It is also acceptable to place a vapor barrier, such as a plastic sheet, under the underlayment. Underlayment papers are not compatible with Environ™ Flex Rolls. Underlayment is necessary to prevent Environ™ Flex Rolls from damage from the weight of the floor, furniture, and people. Unavoidable wooden floor movements will not harm Environ™ Flex Rolls. Wooden floors expand and contract with temperature and moisture change. The wooden floor “moves” on top of Environ™ Flex Rolls. This movement will not damage Environ™ Flex Rolls when the installation is done correctly and the underside of the final floor covering is installed evenly. Some underlayment materials also have a noise reducing and insulating effect. When installing over concrete, a ¼” underlayment is mandatory. Any underlayment available in ¼” size is acceptable in most cases. CeraZorb, cork, or ¼” to 3/8” of expanded polystyrene (EPS) with a density of 2 pounds per cubic foot or more, are recommended for installation under Environ™ Flex Rolls. When installing over a concrete slab, choose the underlayment with the highest R-Value. What is the warranty for the Environ™ floor heating system? Environ™ Floor Heating Systems are backed by WarmlyYours 5 and 10 year “No Nonsense™ Warranty* and WarmlyYours highly recognized lifetime 24/7 technical support. Due to the fact that we will also cover not only the cost of labor, but also the cost of the floor itself, our warranty is renowned for being an industry best. Our “No Nonsense™ Warranty” for Environ covers 5 years for under carpet applications and 10 years for under laminate or floating wood floors. I have multiple Environ™ flex rolls, how do I connect them to the thermostat? Multiple Environ™ products may be connected in parallel directly to a thermostat or through the junction box. Please ensure the total amperage of all connected mats doesn’t exceed the thermostat’s maximum load. I have a pre-attached underlayment on my laminate flooring, can I use Environ™? No. Laminates that have their pad already attached to the laminate are not compatible with the Environ™ Products. What is the typical operating cost of the Environ™ floor heating system? The actual cost of operating your floor heating system will vary depending upon a number of factors including the cost of electricity in your area and the length of time you run your system. Try our Operating Cost Calculator for a quick estimate. How many watts per square foot does Environ™ deliver? The Environ™ Flex Rolls and Easy Mats are designed to deliver 12 watts per square foot. 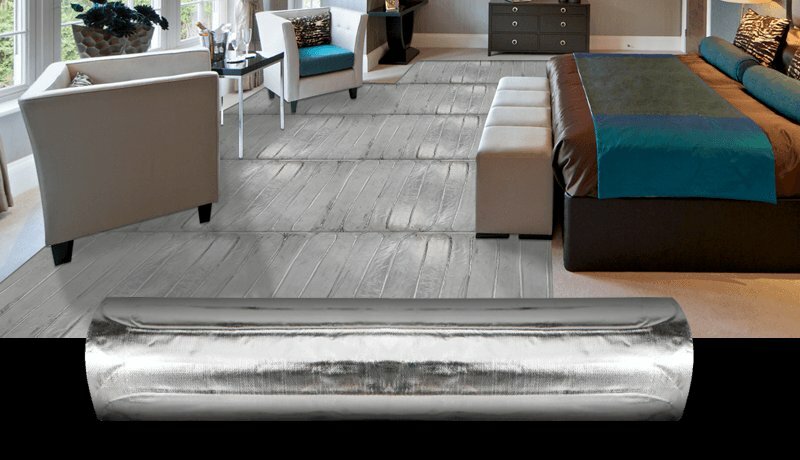 Is the Environ™ floor heating system installed directly up to the wall end to end? Can I have it installed under my couch too? For carpet applications, we require 12" around the perimeter of the room so that a carpet stretcher can be used without damaging the Environ roll or mat. With laminate floors, you can install it wall to wall. We do not recommend heating under heavy pieces (100lb/ft2). And, never heat under permanent fixtures. Will this burn the laminate or carpet? No, as long as a licensed electrician properly installs it. We suggest setting your nSpiration Series thermostat control at a maximum of 85°F when the system is installed under laminate flooring. See your laminate manufacturer for their requirements regarding their product when used with electric radiant heat. Is there a visual height difference between carpets with Environ™ underneath and without? Will it make a crunching sound under my feet? The height difference and sound is purely dependent on the choice of carpet and padding. Different carpets and carpet pads have different qualities and will be a determining part of height and sound. How thick are the roll/mat and electrical cord? The roll and mat is 1/16" thick, and the cord is 1/4" in diameter. Environ™ Flex Rolls achieved an average rating of 5.0 stars with 17 reviews by our customers. The Environ Floor Heating product was easy to install, works as advertised and am happy with the entire installation. This is the second WarmlyYours product purchased - the first was underfloor tile mats for a master bathroom and they worked great. I purchased the environ mat for my basement floor. The video says to lay 6mm poly, then cork, then the environ matting where needed and finally the floating hardwood. I hooked them up and they have worked flawlessly!!!! I am soooo pleased with this product and my floors turned out amazing (I have had loads of compliments). I have one little critique for future users... 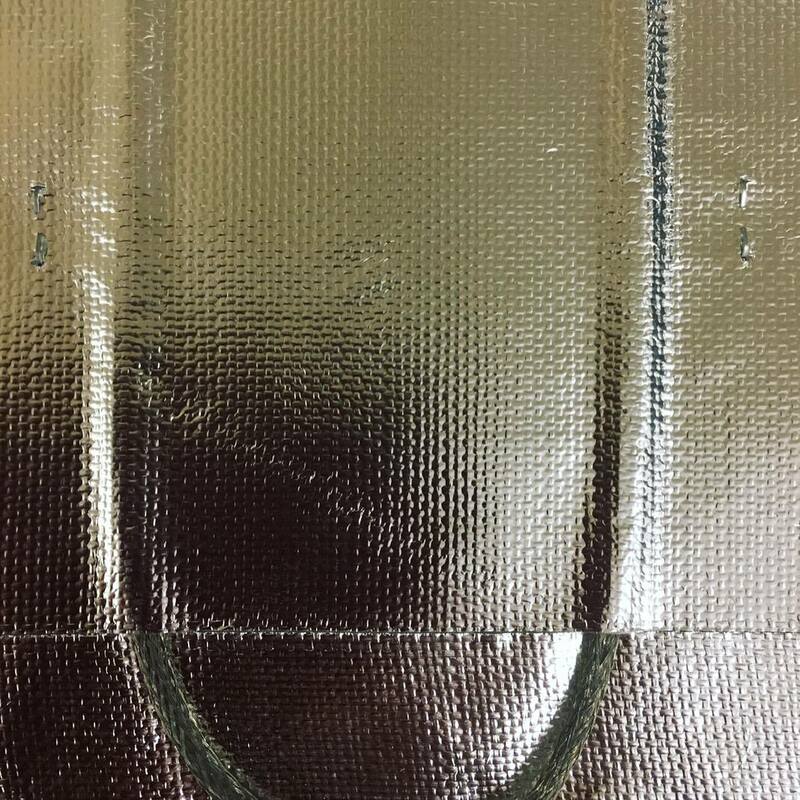 I have found there is a slight bulging (and dips) over the mats which you can feel when walking on them, this is no fault of WarmlyYours product, but probably due to the floating floor design, but I feel consumers should be warned about final result. By the way, the WarmlyYours organization should be congratulated on their customer service - they step and guide you through the whole process from ordering, installation and answering any and all questions. Boy, when is the last time a business stood behind their product like this!!! Hmmmm, I thinking about doing another room with heated floors, maybe a bedroom????? Great product. I am now a fan of radiant flooring. We used this for a room on the bottom floor of our 3 story town-home which used to be 10 degrees or so colder then the upper levels. This product is a great energy efficient way to keep a room at the desired temperature. Fairly easy to install and setup. Installation videos were helpful. Easy to install. I sent the the guys at WarmlyYours a blueprint and they did the layout for me on it. Worked out perfectly.